You know the story – John Gray dies and his faithful hound Bobby keeps vigil over his grave for fourteen years. When the hound died he was immortalised by this statue. He was only a wee dog and the statue is to scale so… hmmm. I saw the Manneken Pis souvenirs before I saw the statue itself. Creepy chocolate ones, chess pieces; gigantic garden-gnomish replicas. I thought we were in for a mega statue with blush-worthy equipment. But we almost walked straight past it! 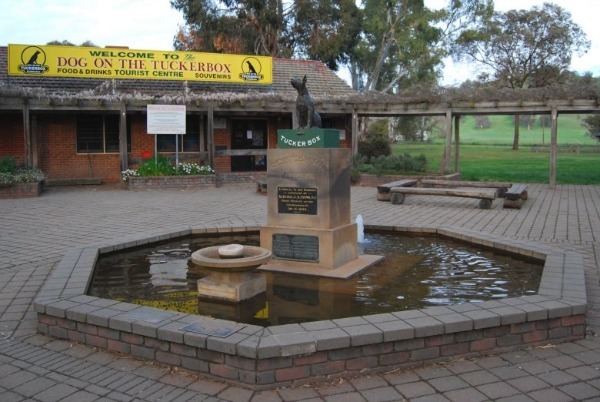 The Dog On The Tuckerbox, Gundagai, Australia. Driving from Central West New South Wales to Melbourne takes about eight hours, which is equivalent to 125 hours if you’re under ten years old. The only thing that could hush the chorus of are we there yet are we there yet from the back seat was the promise of stopping at Gundagai to see the famed hound atop the lunchbox. Such a thrill for a child after five hours cramped up with siblings and suitcases, to finally stop to eat a wilted Vegemite sandwich and gaze upon this masterpiece! Do you have any must-see anti-climatic statues, folks? Would love to add more to the list. Haha. I saw the title and knew it must lead to the manneken pis. In his defence, he is more entertaining when viewed in conjunction with the jenneke (squatting pigtailed girl child) and the zinneke (dog, post) or alternatively on a day when he is in one of his costumes and his people sing his song and during the chorus they change the direction of the piss and squirt the tourists. I saw Manneken pis when he was in costume as a small chef. Apparently he has a multitude of costumes. The Little Mermaid does indeed look disappointing. Shauna I am so disappointed in you, dissing dogs like that! 😛 I shall make a point of patting Bobby should I ever get to Edinburgh. Yes! These would all be on my list. At least the Dog on the Tuckerbox breaks up the monotony of the Sydney / Melbourne drive. Surely that’s his one saving grace. You know what else you could do a series on? Mechanical clocks in town squares. I’ve stood many a minute waiting for the clock to reach the hour only to be underwhelmed by the “show” that happens. The first ever time was in Munich town square at Oktoberfest. We waited for 20 minutes and our treat was to watch some little figures move jerkily across the clock face. Excitement plus! Well, we managed to drive straight past the Big Banana on our way through Coffs Harbour without noticing it at all, so I can only conclude it’s extremely underwhelming! 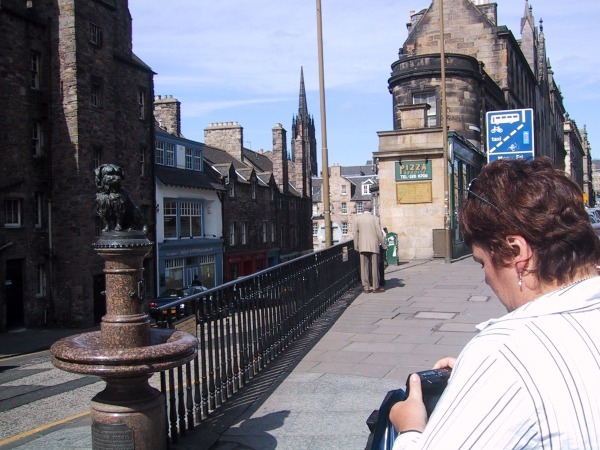 OMG, Greyfriars bobby! 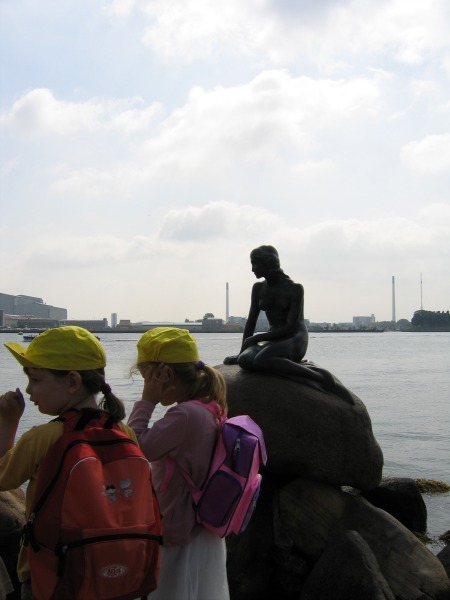 I watched a disney version of that story when I was about 5 years old – so sad! 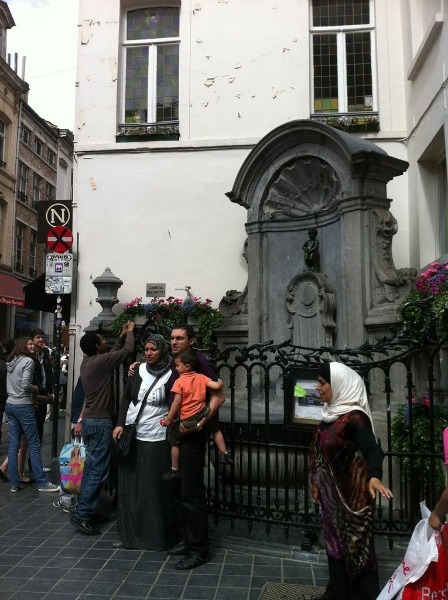 Could not agree about manneken pis! Such a let down… I also remember one of the “big” things in Australia really disappointing me as a kid… I think it was either the banana or the merino! I think you need to go to Bratislava to complete your world tour of ridiculous statues.. that town is full of them. There’s even a tour of statues in the lonely planet guide! Not Statues.. but I’ve been let down by both the Mona Lisa and the Sistine Chapel. Both were soooo much smaller than in my imagination. in Opononi, Northland, New Zealand there is a small concrete memorial in honour of Opo the Dolphin, who the townsfolk killed with their love, during the summer of 1965. Oh God…I’d forgotten all about the Dog on the Tuckerbox. I remember gazing at it as a kid and thinking “Is that IT?” Such a let-down. not quite a statue, but the shroud of Turin is pretty underwhelming.